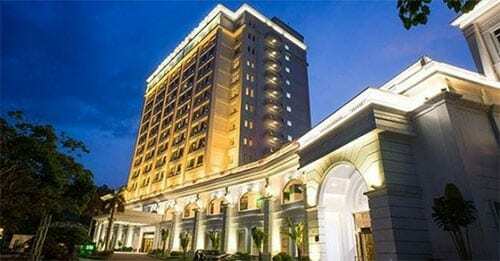 The Royal ‘ International Corporation, operators of Royal Halong Hotel Casino in Quang Ninh, saw its revenue increase by 48 per cent to US $12.39 million year-on-year in 2018. In addition, the company’s takings after tax stood at $731,263 for the year, which is the first time it has seen profit since 2015. Casino operations added $7.66 million, while proceeds from hotels, villas and other services accounted for the rest. Much of that growth is a byproduct of improved infrastructure in the region. An expressway connecting Ha Long with Hai Phong City opened in September last year, vastly increasing traffic to the area while reducing travel times. The new road joins up with the Hanoi-Hai Phong expressway – one of northern Vietnam’s key freight routes. Royal Casino also saved $688,192 in operational costs last year by downsizing staff in a bid to reduce sales and management expenditure. Stories of rising revenue are set to become the norm as the Vietnamese gambling industry continues to grow. The new Corona Casino and Resort on Phu Quoc Island, which opened last week, is the first gaming venue in Vietnam to allow locals to gamble. This comes after Vietnam officially approved a trial program to allow residents to gamble in 2017. The trial currently involves two casinos – Corona and another in Van Don. In order to gamble legally, a Vietnamese citizen needs to be at least 21 years old with proof of earning at least $432 a month. They are also required to pay an entry fee when frequenting a casino.